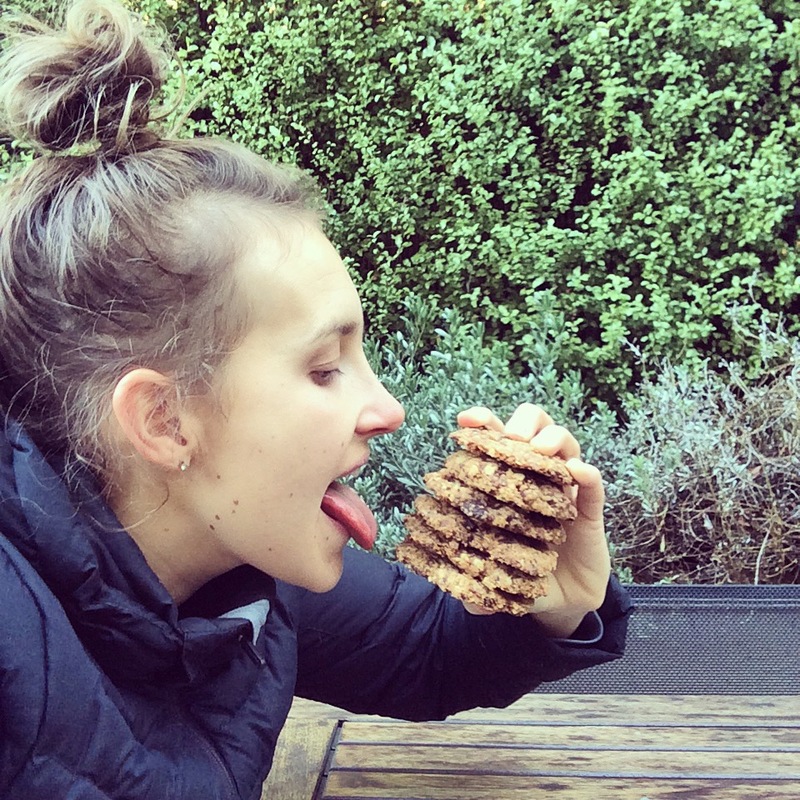 Now if there is ONE thing that I have failed at most in the kitchen – it is healthy and clean alternatives to chocolate chip cookies. In fact all types of clean cookie attempts have ended up in the cupboard or freezer for months on end and eventually in the bin. It doesn’t matter WHAT I tried, they always turned out more like rubber door stops than edible delights… until now! 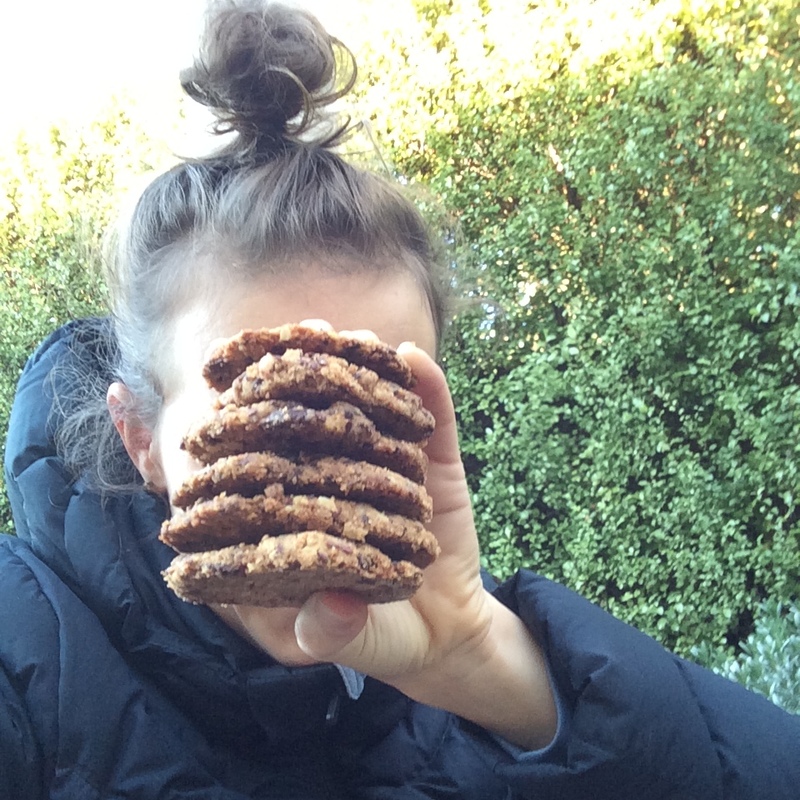 The biggest life lesson going around is ‘when you get knocked down – get back up’ and so I thought I would try ever so hard to redeem myself and bake some sugar-free healthy cookies once and for all. 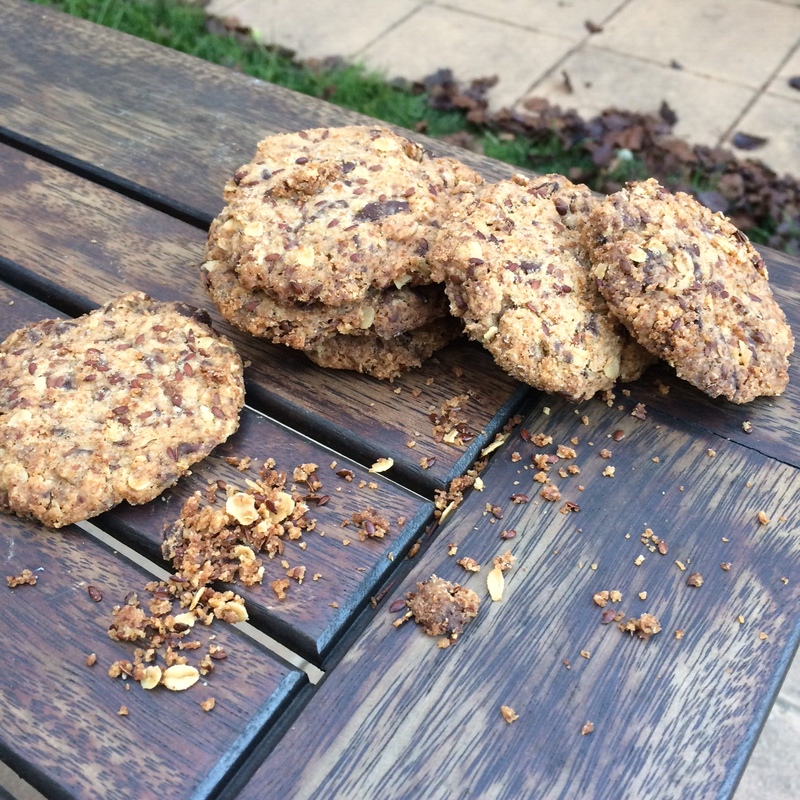 I tried a completely different technique and didn’t use any protein powder or eggs in the hope that they would resemble an actual cookie with a crunch factor. I was so surprised by the final result that I made a second batch the following day. 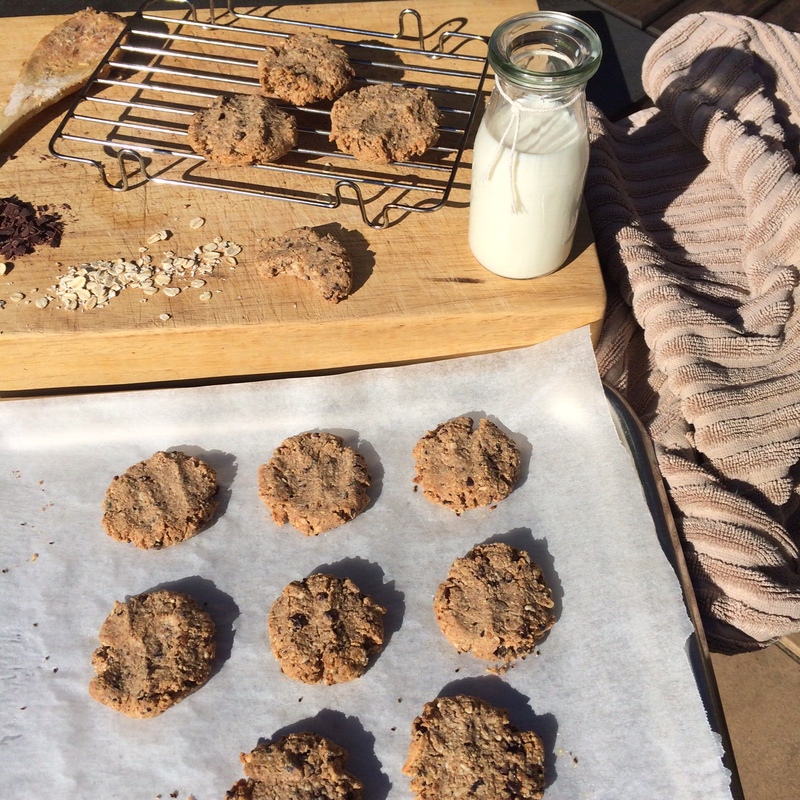 These cookies store great in the freezer and are the perfect cookie for that afternoon sugar craving or late night crunch without ruining your healthy lifestyle. 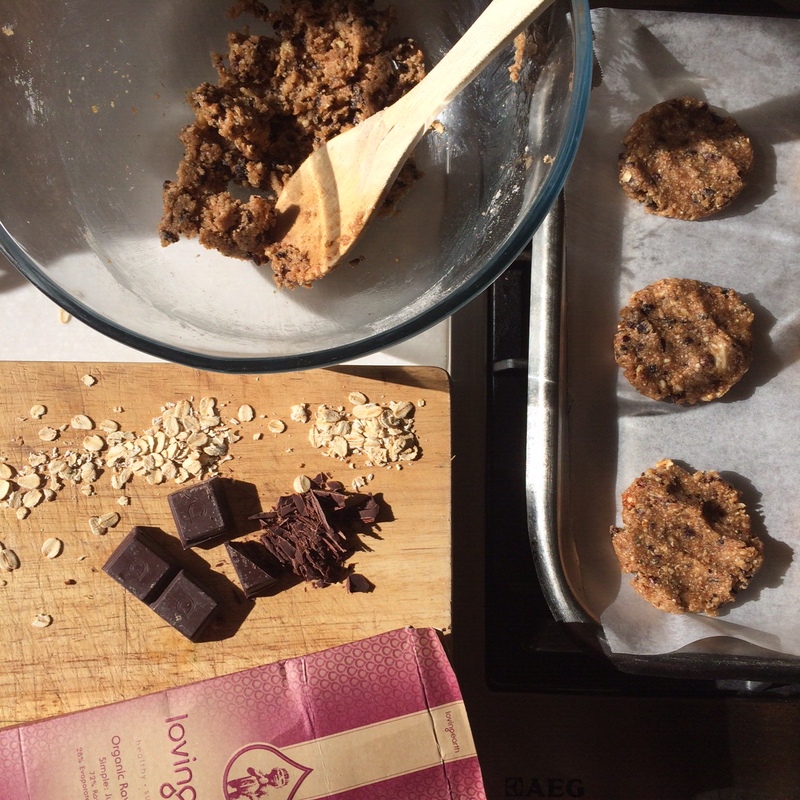 These cookies are sweetened with a date paste made from 100% organic raw medjool dates and low GI organic coconut sugar. I love cooking with (and snacking on) Medjool dates. They are natures number 1 sweet fix without the nasties and come down of the ‘white stuff’. Dates are packed with fiber for a healthy digestive system and full of essential nutrients and minerals. Try my sticky date pudding >> recipe here. Preheat oven to 170 degrees Celsius. Line baking tray with baking paper and set aside. Soak dates in boiling water for 10-15 minutes. Drain. Pour dates into food processor and process until it forms a paste. You may want to add a dash of hot water if it is not soft enough. Mix the flax meal with 1/4 cup boiling water until a gooey gel forms. Add this to the food processor. Add the almond butter, coconut oil, vanilla and coconut sugar and pulse until combined. In a large bowl mix the ‘dry’ ingredients together. Pour date almond butter mixture into dry bowl and combine with a wooden spoon. Add the dark chocolate chunks and stir. Roll into balls and place on baking paper. Flatten with a fork or your fingers and place in oven for 10-12 minutes until golden brown. Cookies will be soft and delicate until they cool down. Allow to completely cool before transferring. I like to store mine in the freezer for that extra crunch and it also stops them from crumbling. Note; I didn’t have flax seed meal at the time so I just added whole flax seeds for an extra crunch factor. If you do this you must omit the 1/4 cup boiling water as this is only for the flax ‘gel’. If your mixture is dry – add a little more boiling water. It should be sticky! they were incredible!! all gone! time to make some more! Thanks so much!!! you gotta make them! yumm, craving these right now! !